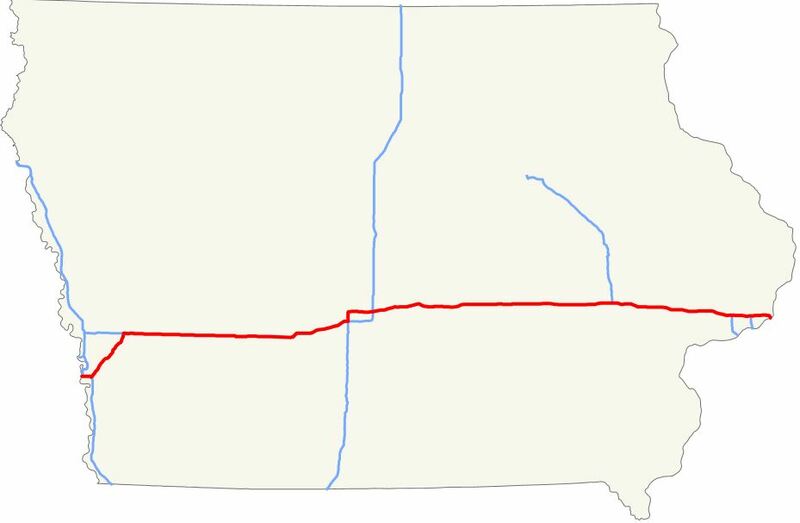 You are here: Home › Cover Crop Challenges › Seed Selection: What to Plant After... › Corn › Cover Crops in Wisconsin › Soybeans › Cover Crops in the Northland › Cover Cropping North of I-80 After Corn & Soybeans – A Whole New World? 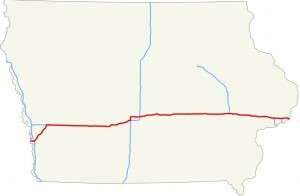 There is a lot of Iowa and Minnesota and Wisconsin above I-80. Is this all part of the “no cover crops works here after corn and soybeans” zone? Maybe not! Sarah Carlson from Practical Farmers of Iowa reminded me that cover cropping north of I-80 is different than cover cropping in northern Indiana. She’s right. But how different is it, and why is it different? 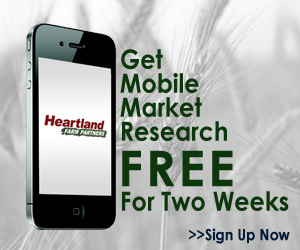 Sarah is quoted in a very good article in Corn and Soybean Digest that helps explain the differences. 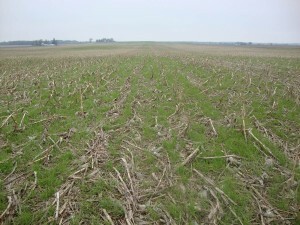 Several farmers in Wisconsin and northern Illinois are having cover crops aerial applied with good success. But I agree with Sarah; there are still challenges. 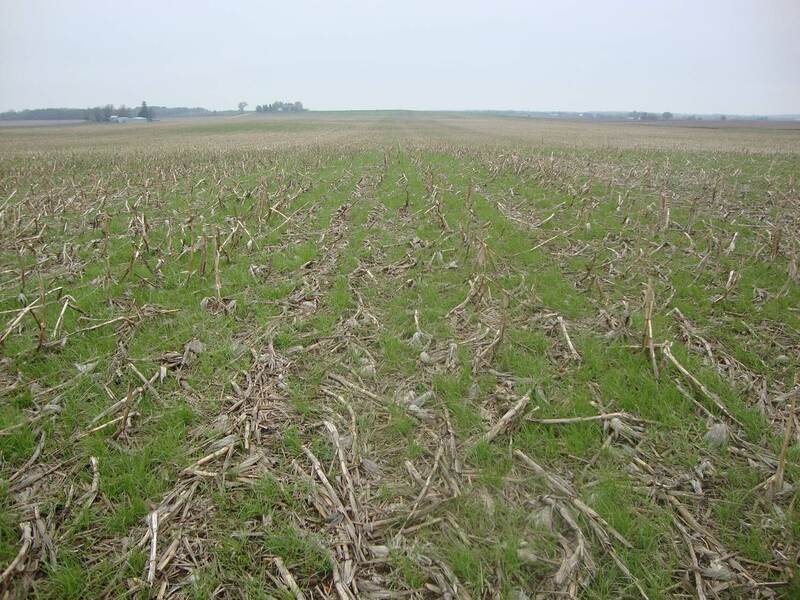 This field of Annual Ryegrass is in SE Wisconsin and was aerial applied into standing corn in the fall of 2011 with great success. Annual Ryegrass is working well in southern Wisconsin and southern Michigan and there are many positive results from using it. Dixie Crimson Clover has a good history of surviving the winter even in mid-Michigan and southern Wisconsin. Late planted Austrian Winter Peas are overwintering as far north as the top of the Thumb of Michigan. Winter Barley (winter hardy varieties) is surviving well in southern to mid-Wisconsin and in southern Minnesota and used for a cover crop or haylage before planting corn silage. While not every producer North of I-80 will have success with cover crops after corn and soybeans, there are a number now that are happy with their results. My message is to use wisdom and best management practices. IF you want to try cover crops after corn and soybeans and you are north of I-80, realize that you are not the first person to try it. Many have gone before you with good results. Don’t give up before you investigate the possibilities.